Two young artists and curators turned an old underground garage-garage into an art gallery. In a quiet “forgotten” district, we reach a basement which houses, since 2015, the new space of “Enterprise Projects”, a new laboratory of ideas! Artists are always looking for the next venue for their work and often turn to alternative art spaces as low-pressure experimental venues. 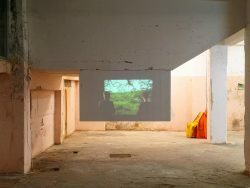 With the proliferation of alternative artistic spaces, it seems that the next generation of artists does not want to wait for the representation of galleries and / or curator positions. Instead, they decided to create their own opportunities. These spaces serve as a compromise between the artist’s studio and academic institutions, major museums and galleries or local art centers. Artists can experiment openly with their work, challenge their artistic practice and involve their community without the pressures of sales and expectations of mainstream curators. Alternative spaces also offer artists the opportunity to manage, organize residencies and network independently. 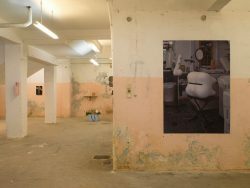 The works presented in these spaces are often influenced by their location and their limits. The freedom to experiment with ideas and new methods of making sparks that some artists might not have achieved elsewhere. It all started when Vassilis Papageorgiou, a graduate of the Ecole des Beaux-Arts, wanted a place to store his large and fragile sculptures. His father gave him the idea of ​​using the old private basement that once housed a garaje and had not been used for many years. They decided not to intervene actively in the field, and for practical and economic reasons among others. The fragility of the materials is a central element of the work. 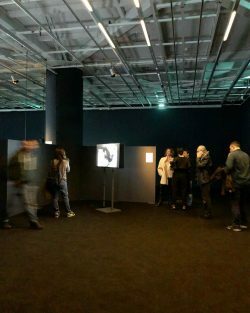 In collaboration with Danai Giannoglou, they decided to turn it into an exhibition and experimentation space highlighting established and emerging artists. The space is born of a need to express and share a point of view concerning contemporary artistic creation. 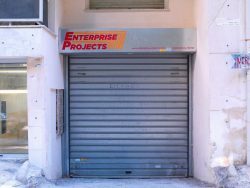 Enterprise Projects is a self-financing space that has the freedom to experiment with formats and conservation positions. 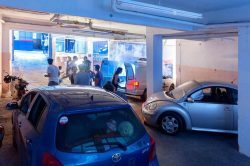 Their first exhibition “Car Service” examined the car as a symbol rather than a functional object. The following exhibitions interact with the place. 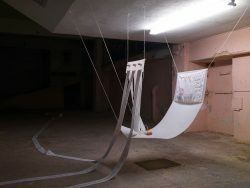 Vassilis and Danai are trying to create a method of communicating a personal experience of a territory as a commonplace. Each exhibition traces the specific elements that form the culture to create stories denied.